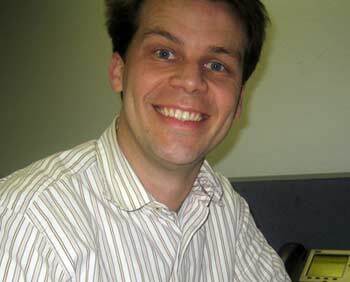 On Wednesday, January 10th, I got a call from Sir John Hargrave of Zug.com. He was putting together a secret team of men to help him carry out an ambitious plan. After swearing me to secrecy, he laid out the details. "Are you familiar with the Caltech halftime show card prank? I was. Hundreds of large colored cards were used by cheerleaders at the Rose Bowl to form giant words and pictures across the audience. 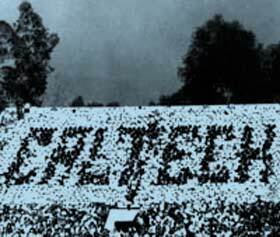 Pranksters from Caltech (not one of the schools at the football game) had switched up the audience directions, changing one of the designs to say CALTECH. This was in front of a national television audience, and is considered by some to be the best college prank of all time. John continued. "I'm going to try something similar... at the Super Bowl." The plan was to carefully distribute thousands of blue and white necklace lights to seven sections of Dolphin Stadium in Miami, which, when turned on, would spell out a secret message, visible to the rest of the stadium, the blimp, the phalanx of world media, and to the 95 million viewers watching the Superbowl from home. It would be totally impossible. John laid out a handful of critical details, letting me know how this might work. He had a plan. For the rest of the day, I sat at my desk in disbelief. I was going to Super Bowl XLI in Miami, to help in the biggest prank ever, and I couldn't tell anyone. Flowers from his Lover | Pizza Ride | We Buy Any Outhouse | Open Soon | The We Buy Any House Prank | The Open Soon Prank | The Apple Prank | The Costco Sign Prank! | Time Machine at Roseville Galleria Prank | Forbidden Pickles Prank | How to Make Pasta Prank | Drive Thru Memorial Prank | Fast Food Job Applications Prank | Fake Roadkill Prank | The Ikea Living Prank | Ikea Dinner Party | Super Bowl Halftime Prank | Poisonous Mexican Dwarf Limes | Paparazzi Contest | NASCAR Drivethru | Caution! Ant | TGI Friday's Menu | Starbucks Chairs | Arden Mall Ashtrays | Frozen Shaving Cream | Buy 2 get 1 Free | Fake Public Service Announcement | Historical Plaque! | Menu Board Switcheroo! | Chad Bikes America! | Image-lifting imposter! | A Brand New Car! | The Lid Sign | The First One | The Great One | Amazing New Printers!